Savigny-les-Beaune. One of the most underrated village which makes tremendously charming Reds in the Cote de Beaune but always overshadowed by Volnay and Pommard. There are a total of 22 Premier Crus in this village, and one of the very best is undoubtedly Les Narbantons. Aside from Domaine Leroy, the next challenger to the throne of Les Narbantons is undoubtedly Mongeard-Mugneret. 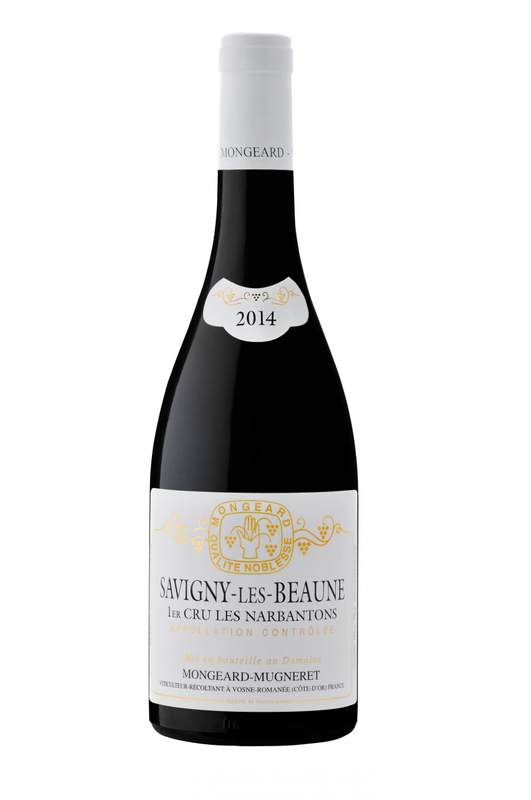 Les Narbantons from Mongeard-Mugneret is certainly overlooked in their portfolio, especially when they produce a star-studded range of Vosne-Romanee Grand Crus. But the one which I find myself drinking the most is always this cuvee. Priced much lower than many villages wines, this proved to provide an amazing Quality/Price Ratio (QPR). The wine is always redolent of red cherries, summer flowers and soft, silky tannins. Wines you won’t hesitate to pop at a moment’s notice and perfect when heavier wines prove too much for recent hot weather. – John Gilman, View from the Cellar. 2014 is a year where Vincent Mongeard really hit the home run. Tasting through the range, we can safely confirm this fact. Wines are in stock already and there are some halves as well for those who want instant gratification. For me I would wait 1-2 years before trying them but I guess 1-2 hours in the decanter will help too. The 2014 Narbantons from Vincent Mongeard was raised in one third new oak and was showing very well at the time of my visit. The very fine bouquet wafts from the glass in a youthful blend of red and black cherries, gamebirds, coffee, woodsmoke, iron-like soil tones and cedar. On the palate the wine is deep, full-bodied and nicely sappy at the core, with fine soil inflection, suave tannins and impressive length and grip on the very promising finish. The inherent elegance of the vintage are very much in evidence in this excellent young example of Narbantons. JG92. This entry was posted in Uncategorized on June 15, 2017 by WEA Wines.